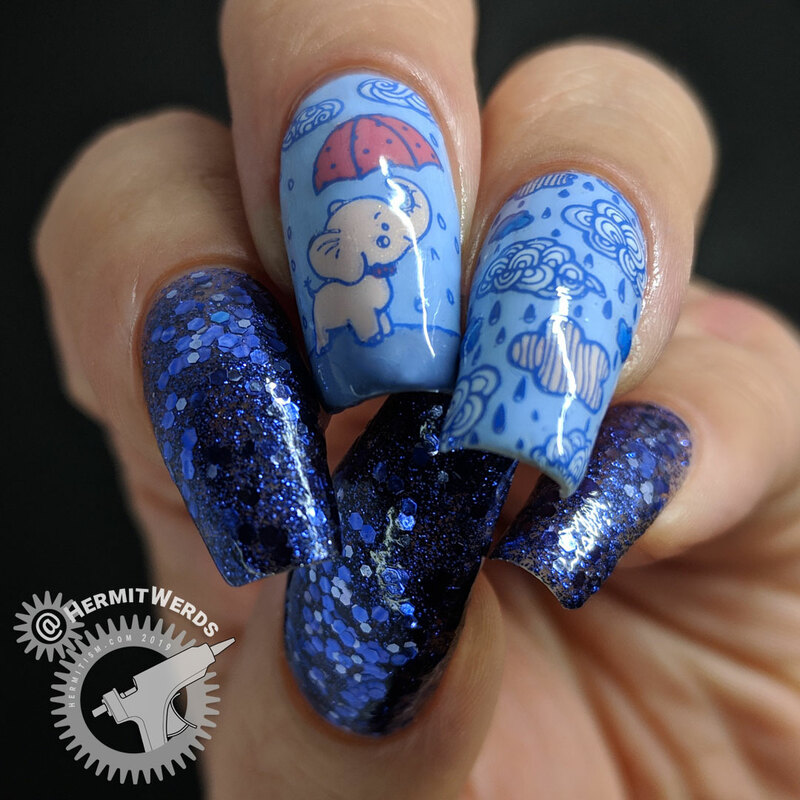 Rainy day nail art in April is a must if you like to acknowledge the seasons in your designs. In fact, I need to stop waiting for the ground to be dry before mowing my lawn because it hasn’t happened in well over a week. I love the rain, though, so bring it on! I’d rather mow a soggy yard than not have rain. 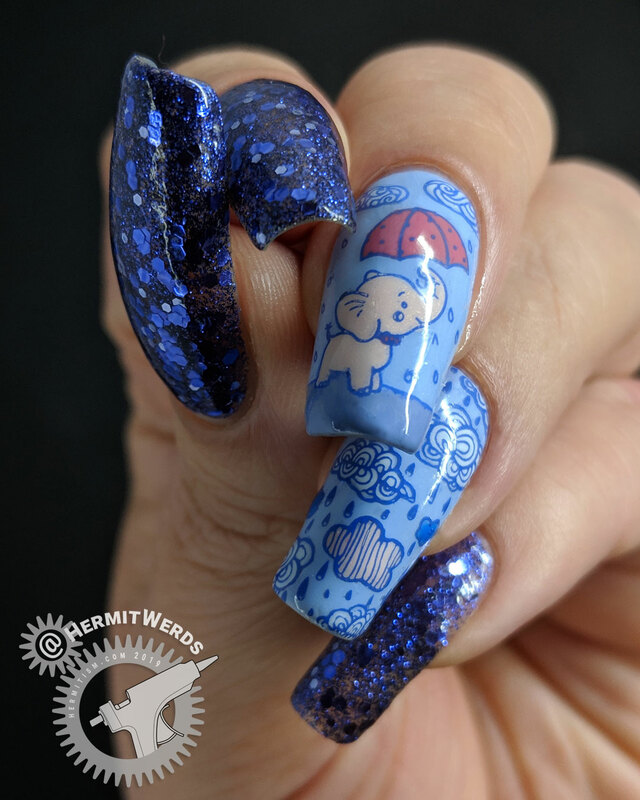 I combined three different prompts to come up with the elements for this design: @NailChallenge’s Zoo Lover, @GlamNailChallenge’s April Showers, and @CreativeNailArtChallenge’s Weather. You could say that double the weather prompts meant it got a nail to itself, but really I just love cloud patterns. I ended up painting this design twice because the first didn’t turn out like I wanted. 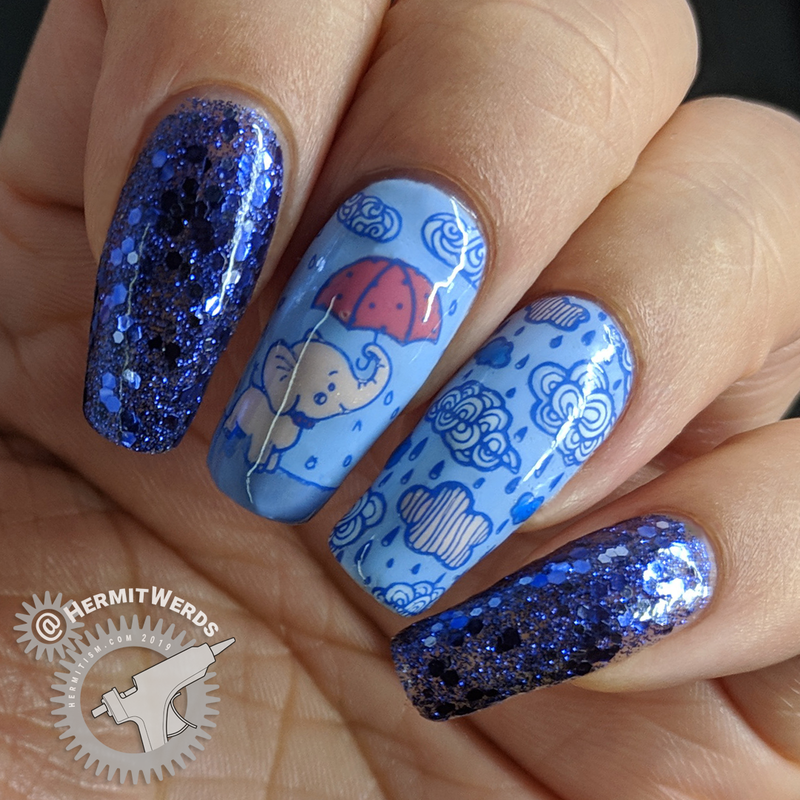 The first time I tried to use the glitter in my stamping decals and it worked terribly. 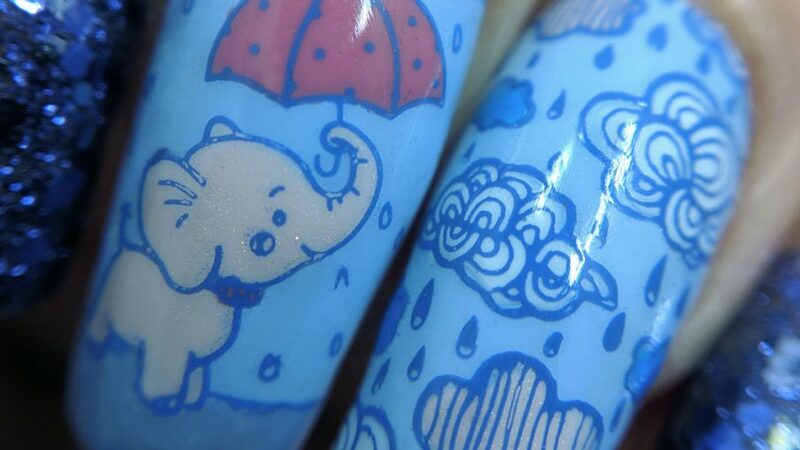 The stamping images were too detailed and everything got muddled together. So when I painted it for the second time, I actually removed the cobbled road pattern beneath the elephant’s feet and the butterflies to keep things more simple. Sorry, Born Pretty! 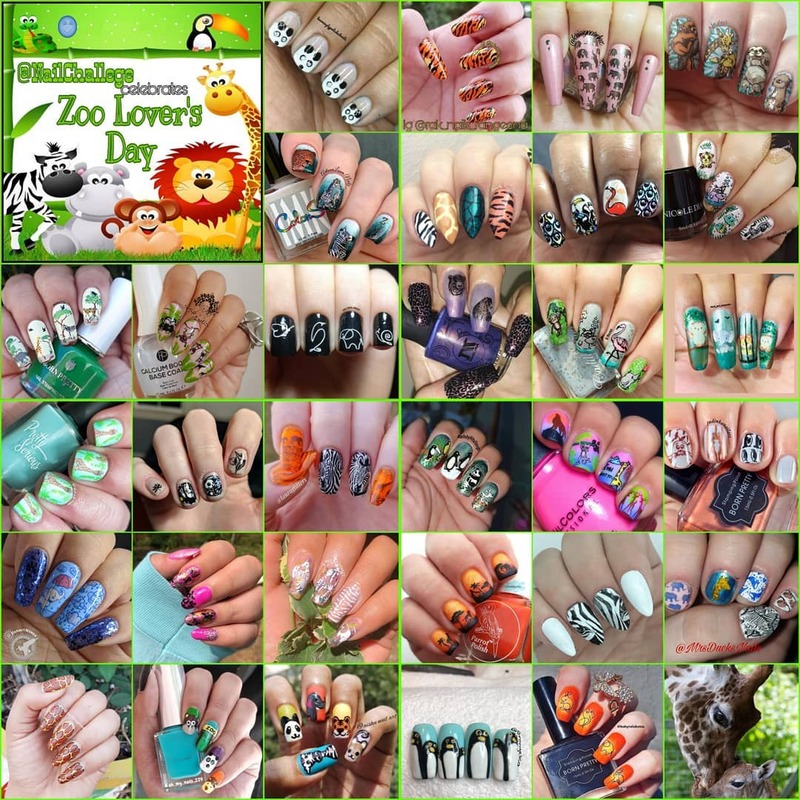 Only @NailChallenge had a group collage so to see everyone’s designs you’ll have to visit the group tags: #ncamused (Zoo Lovers), #glamnailschallengeapril (April Showers), and #creativenailartchallengeapril (weather).